MELVILLE, N.Y., July 31, 2014 - Canon U.S.A., Inc., a leader in digital imaging solutions, today unveiled six new models in its imagePROGRAF lineup : four new five-color, large-format inkjet printers - the 36-inch iPF785 and iPF780 models, and the 24-inch iPF685 and iPF680 models - and two new large-format imaging systems - the iPF785 MFP M40 and iPF780 MFP M40. These devices offer faster printing speeds and lower operation costs as compared to their predecessors, as well as upgraded software for an enhanced user experience particularly in mobile and cloud based printing applications. Designed for a variety of industries that print maps, technical drawings, renderings, site and facilities management plans, signs and posters, the 36-inch devices boast print speeds of up to 21 seconds for an Arch D (24" x 36") print and now support 300 ml ink tanks, helping to lower the cost-per-print. A sub-ink tank system allows users to deplete all of the ink in the tank before replacing them, as well as to replace empty ink tanks without needing to stop the printer, increasing productivity during continuous print runs. In addition, the iPF785 and iPF685 models come equipped with a 320GB internal hard drive for enhanced file processing, personal mailbox space and job storage for up to 500 print jobs. The iPF785 MFP M40 and iPF780 MFP M40 models now have the ability to scan documents up to 315" in length as a PDF or JPEG file, and up to 590" in length as a TIFF file. 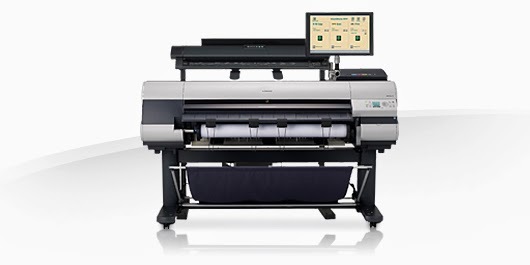 The M40 scanner has a maximum optical resolution of 1200 dpi, scan speeds of up to 13" per second for monochrome, 3" per second for color and also the capability to scan documents up to 2mm thick. The system features a stand-alone computer and multi-touch-screen monitor, and come with SmartWorks MFP software V 3.55 to simplify Scan-to-print, File and Share processes. "In addition to some welcome feature set enhancements such as hard drive capacity and increased scan length, the standout aspect of Canon's new-generation models is their productivity," said David Sweetnam, head of Research and Lab Services for BLI. "For example, the iPF680/780 and iPF685/785 MFP models all showed significant productivity gains over their predecessor models, notably in Fast and High Quality modes, so users can remain highly productive without compromising image quality. The models also deliver higher color gamut, richer color saturation, more distinct fine lines and more natural-looking skin tones. The models further deliver excellent GIS/CAD/AEC graphics with an improved depth of field in GIS graphics, even on plain paper, delivering a more realistic 3D rendering of topographical features. And the SmartWorks MFP software on the iPF785 MFP is even easier to use than previous versions, with flexible options for batch scanning that are not currently available with some leading rivals." "The new imagePROGRAF models introduce powerful new features that can help save time, cut costs and ensure that print jobs move along seamlessly for outstanding productivity," said Junichi Yoshitake, senior vice president and general manager, Business Imaging Solutions Group, Canon U.S.A., Inc., Canon U.S.A. "These versatile devices lend themselves to numerous applications, including computer-aided design, architecture, engineering and construction, as well as signs and posters and are excellent companions for industries ranging from manufacturing and government to education." Ideal for businesses that need to print documents quickly while retaining high image quality, these new imagePROGRAF models are designed for maximum versatility and performance. In their fastest modes, the iPF785 and iPF780 printers can produce an Arch D sized print (24" x 36") in approximately 21 seconds and Arch E sized print (33.1" x 46.8") in approximately 41 seconds, while the iPF685 and iPF680 printers have output speeds of up to 25 seconds for Arch D prints and 48 seconds for Arch E prints. The 24-inch printers now also come standard with a Flat Stacker/Basket that provides the capability to neatly stack up to 20, 24 x 36 inch plain paper prints. Addressing the needs of a diverse range of users, Canon's Direct Print & Share 2.0 software is a downloadable cloud portal solution for expanding printing workflows. This software empowers users to view, share and print a variety of files, including PDF, TIFF, JPEG and HP-GL/2 formats, from virtually anywhere. Users can utilize the new "Shortcut Print" feature to drag and drop files they wish to print into hot folders on their desktops helping to streamline their workflow process. These devices are compatible with Canon's new imagePROGRAF Print Utility mobile app, which helps facilitate wireless printing from a compatible iPad device. The app allows users to perform a number of actions, including previewing their PDF file, number of copies, orientation, and quality before sending the job to any of the compatible imagePROGRAF printers sharing the same network. These imagePROGRAF devices come with a five-color dye/pigment reactive ink system, including a newly formulated magenta ink that helps produce more vivid reds and yellows. Canon inks provide outstanding adhesion to media, are scratch- and marker-resistant, and help produce crisp and legible text. These devices include Canon's high-density PF-04 print head, which uses 15,360 nozzles to lay down ink. Users have more control over their workflow with access to editing functions such as invert, mirror, and black and white point adjustments. Custom presets help users control the scanner and increase control over printer settings. SmartWorks V3.5 Plus gives users the ability to scan and print multi-page PDF documents on the fly. This allows users to take multiple drawings or documents, scan them in using the M40 scanner and either save or print the set as one multi-page document. In addition to this added feature, users can now perform color corrections and automatically crop the borders on their files using the preview mode and large touch-screen monitor, to ensure that they will be obtaining the desired output. The Plus version also supports PDF/archiving functionality. PosterArtist with a new low MSRP of $395, includes essential features customers need to easily create posters, signs and banners. To make sharing simple PosterArtist now offers the ability to save posters including custom images, clipart, and fonts, to a new file format. This complete file can be exported directly from PosterArtist to Canon's Direct Print & Share cloud portal software for sharing between users. In addition, there are a host of independent software vendors that have made software available for use with these new imagePROGRAF printers. Cloud4MPS allows users to web enable compatible imagePROGRAF printers for Remote Device management, Status & Usage Readings, Consumable Management and more. Other companies include SA International, Technesis, Sepialine, EFI, Shiraz, Caldera, ColorGate, DEV Studio, SCP and PosterJET. These new imagePROGRAF models are scheduled to be available on July 31, 2014 at manufacturer's suggested retail prices of $4,995 (iPF785), $4,495 (iPF780), $3,195 (iPF685), $2,495 (iPF680), $8,995 (iPF785 MFP M40), $8,495 (iPF780 MFP M40 and $395, for PosterArtist. And ($595) SmartWorks MFP Plus software. Collections with a custom sort order would sometimes not properly sync with Lightroom mobile. Star ratings would sometimes not sync from Lightroom desktop to Lightroom mobile. Please note that this only occurred when attempting to sync a Collection that contained more than 100 photos that already contained star ratings. Added information to the “System Info” dialogue to help designate if the customer installed Lightroom from the Creative Cloud. Unable to open sRaw files from the Nikon D810. Please note that this only impacted customers that converted D810 sRaw files to DNG in either Camera Raw 8.6 RC or DNG Converter 8.6 RC. Lightroom occasionally crashed when changing image selection on Windows. Please note that this only occurred on the Windows platform. JPEG files exported from Lightroom would not open or be available to edit within Canon Digital Photo Professional application software. Lightroom would run in reduced functionality mode when it should not. Just got back from my wildlife photo shoot in Alaska. Very tired and trying to recover and get ready for the next one, next week. My sources have been busy checking around and they have informed me the second half of 2014 will be Canon's 'comeback' year. This is rather awkward for me to keep my readers up to date with the latest news since I have photo shoots scheduled for August and September in remote countries. Canon plans to make a BIG splash at Photokina 2014 on September 12 in Cologne, Germany. Already I am quite certain the Canon EOS-7D Mk II camera and EF 100-400mm f/4.5-5.6L IS II lens will be announced around the first week of September. Perhaps a couple of EF-S lenses in the 18-300mm zoom range may also be included to compete with the recent Tamron offerings. However, rumor has it Nikon is planning to announce a Medium Format camera some time near Photokina 2014, using Sony's 50MP CMOS sensor, to try and steal the thunder from Canon. As a wildlife photographer using Canon equipment for the last 25 years, I have made some observations and suggestions for my friends in Tokyo. Medium Format photography is, at best a niche product and should be left to much smaller companies. I am still on a wildlife photo shoot in Alaska. You can follow my travel on Facebook and Twitter. Visit my website MichaelDanielHo.com to see photos from my previous shoots. Canon is expected to be busy the last half of 2014. The EOS-7D Mk II and EF 100-400mm f/4.5-5.6L IS II are two announcements expected to come the first week of September. There is a chance Canon may even announce their Mega Pixel camera at the end of 2014 or early 2015. Then the EOS-5D Mk IV and EOS-1D X Mk II are expected to debut in the first half of 2015. In addition, Canon is also expected to update their EF prime 'L' lens lineup around the same time, perhaps to coincide with the 5D or 1D replacement. The models most likely to be announced are the 35mm and 50mm models. Sigma has been giving Canon and others a run for their money by introducing a very good line of prime and zoom lenses. The new Canon 'L' lenses are expected to be smaller and lighter than their predecessors and come with the latest coatings and optics. I am still on a wildlife photo shoot in Alaska. You can follow my travel on Facebook and Twitter. Canon has released more Tutorial Series videos. The videos below deal with Frame Rates and White Balance. You can also view other videos on Prime lenses and DSLR cameras ; How to set White Balance ; Transfer between WiFi enabled cameras ; WiFi setup and remote capture ; Using filters and tripods ; External monitoring options and cinema rigs ; How to build a follow focus rig and learn about how a Canon Image Stabilizer lens works. I am still on my Alaskan photo shoot. Down in SE Alaska now for some whale photography. Brought with me the Canon EOS-1D X, Mk IV, EOS-7D bodies plus the EF 200-400mm and EF 100-400mm lenses. The EOS-7D is my favorite APS-C camera for wildlife photography. The EOS-7D Mk II should be coming out at the end of the first week of September. In fact, Amazon has already stopped carrying the camera on their website. It seems they have drawn down their inventory of 7Ds to zero. I am quite enamored of the EOS-7D's performance as a cropped frame camera provided the light is good and high ISO is not required. The Achilles heel of the camera is its mediocre ISO performance but the Mk II will address that 'weakness.' Visit my website MichaelDanielHo.com to see photos taken with the above cameras from my worldwide photo shoots. 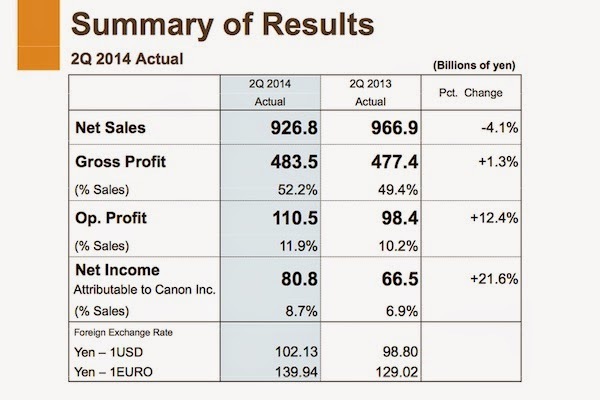 Canon released their 2014, second quarter financial results. Although camera sales have been less than robust for the last couple of years, they managed to post decent profits by producing higher sales in other product lines and meticulous cost controls. I have been using Canon equipment for 25 years and a long time observer of the company. Last year I have made some observation and suggestion to my friends in Tokyo. Canon is a large and diversified international company and ranks among the most valuable brands in the Global 100. Their market capitalization is more than 2 and 6 times that of Sony and Nikon, respectively. They are in good shape to weather any additional downturn in camera sales and when the rebound comes, they will be in a good position to cash in on the recovery. I am still on a wildlife photo shoot in Alaska. Canon may be ready to announce their megapixel camera some time late this year or early 2015. In a recent interview given to DC Watch concerning their latest wide angle lenses - EF 16-35mm f/4L IS and EF-S 10-18mm f/4.5-5.6 IS, Canon hinted their megapixel camera will be a good match for their latest high performance lenses. Ever since the retirement of the EOS-1Ds Mk III, they are left without a professional grade, 'big' megapixel full frame camera and Nikon has been stealing their thunder with their 36MP D800 and D810 bodies ever since. There are still discussion inside Canon as to which body style the new camera should take. My preference is for Canon to introduce it under the EOS-1 body first and then come out with a little brother version, say the EOS-3D or some other designation. Canon needs a professional, big megapixel camera to boast about and retake the crown from Nikon. They are experimenting on a few sensors, ranging from the high 30s all the way up to 70+MP. Before Canon can release any big megapixel camera announcement, first they have to launch the EOS-7D Mk II camera. The EOS-1D X Mk II should get a replacement some time in 2015 as well. I am still on a photo shoot in Alaska. My sources informed me Canon is quite happy with the EOS-7D Mk II test cameras' performance at the World's Cup. Barring any unexpected events, the announcement of the new camera should come by the end of the first week of September. MELVILLE, N.Y., July 24, 2014 – Canon U.S.A., Inc., a leader in digital imaging solutions, is proud to announce that Canon broadcast lenses were the most widely used broadcast lenses covering the matches of the recent Soccer Tournament in Brazil. Furthermore, the professional photographers tasked with capturing the riveting goals, ravenous fans, colorful scenery and nail-biting moments of the soccer matches utilized Canon DSLR cameras and lenses more than any other brand. This outstanding show of support for Canon equipment in Brazil follows Canon broadcast lenses being used extensively to broadcast The Big Game in New Jersey on February 2, 2014, as well as being the number one camera and lens choice for imaging professionals shooting from the sidelines of the game between Denver and Seattle. In support of professionals on the ground, the Canon Professional Services (CPS) team was on location at each of these sporting events, among countless others, to provide support to photographers, broadcasters and all imaging professionals. “Canon is honored to help broadcast companies and news services bring the action of these high-profile sporting events to devoted fans across the world. It is a testament to our products and professional service and support that so many image makers at the pinnacle of their profession rely on Canon,” said Yuichi Ishizuka, president and COO, Canon U.S.A., Inc. Throughout the soccer matches in Brazil, Canon broadcast field lenses were utilized to deliver footage of the thrilling tournament. Canon broadcast field lenses represented approximately 90 percent share of all broadcast lenses used. Additionally, Canon broadcast lenses were used extensively to deliver The Big Game to more than 111 million television viewers. 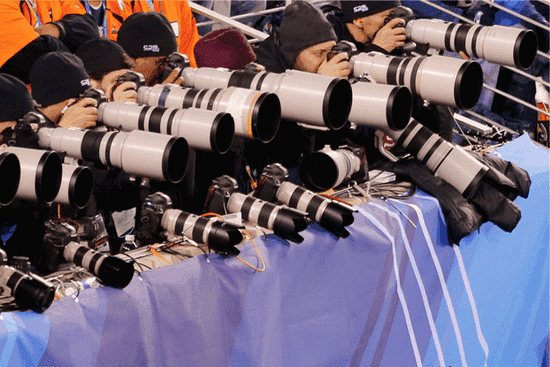 A look to the sidelines in Brazil revealed a familiar sight to many sporting event fans — Canon EOS Digital SLR cameras, equipped with iconic white Canon telephoto EF lenses. Throughout the tournament, approximately 70 percent of imaging professionals chose Canon DSLRs and lenses to capture and share the memorable moments of these passionate and prideful soccer matches. Much like The Big Game, in which 75 percent of imaging professionals on the sideline of that gridiron matchup chose Canon equipment. At each of the 12 stadiums that hosted Soccer matches in Brazil, CPS had teams of technical and professional representatives providing imaging professionals with convenient access to product support, equipment maintenance, and product loans. 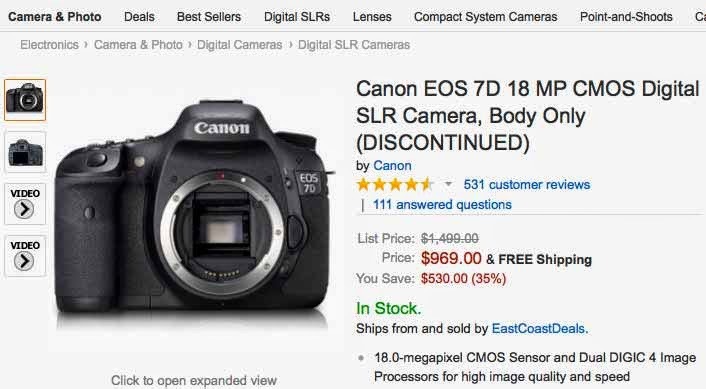 The EOS-7D has been out for almost 5 years and is one of Canon's most successful cameras. The Mk II should be announced in September. Read my latest post on this highly anticipated DSLR body, including yours truly. The Canon EOS-1D X has been available for about two years now. I have picked this camera as the best DSLR body on the market two years in a row. Since its announcement, there has been many improvements in the world of high tech camera equipment - the DIGIC 6 processor, Dual Pixel CMOS AF system and newer sensor technology, just to name a few. My sources informed me the upcoming EOS-7D Mk II will be the first camera to feature a new, ground breaking sensor technology but even more advanced version will be introduced on the EOS-5D Mk IV and EOS-1D X Mk II cameras in early 2015. With major emphasis placed on the Canon EOS Cinema line, there was a secret test recently in some New York City film studios. The camera in question was a prototype Canon EOS-1D X Mk II, with a new type of sensor, creating files that are larger than the present EOS-1D X and similar in size to the EOS-5D Mk III but with superior colors and details. 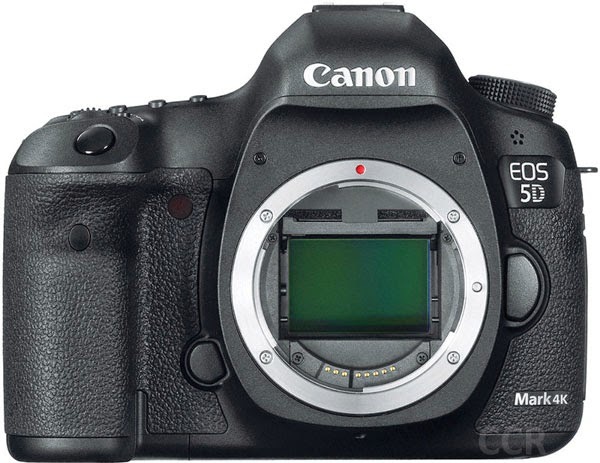 Rumor has it Canon may introduce 4K video on the EOS-5D Mk IV camera. Although on the surface, this sounds strange, since most people buying the current 5D model are not videographers and Canon has a separate, robust line of excellent EOS Cinema cameras. One would think this is where Canon will choose to introduce 4K video first, but instead, they have a pattern of introducing their latest technologies on their lower line of equipment, first. Cases in point are their latest DIGIC processors, STM lenses, touch screen LCD monitors, Dual Pixel CMOS AF technology, etc., all introduced on the lower end products first. I doubt Canon has decided which product line they will introduce 4K video at this time. The EOS-5D Mk IV may be announced before or after the EOS-1D X Mk II. Right now, the timetable is very fluid for both cameras. Canon needs to pull out all the stops and complete the official EOS-7D Mk II launch first and then they can turn their full attention to the other two cameras. 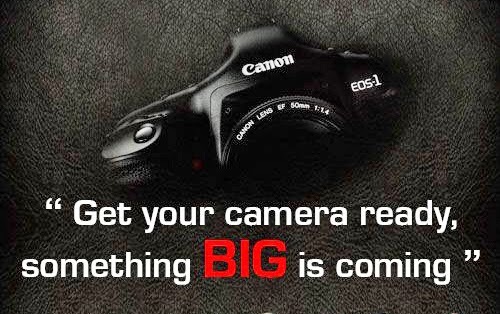 Recently, in an interview, Canon hinted on their upcoming release of a megapixel camera as well. Keep checking back for the latest information and development. Canon has released more Tutorial Series videos. The above video teaches you how to build and operate a follow focus rig. You can also view other videos on Prime lens and DSLR cameras ; How to set White Balance ; Transfer between WiFi enabled cameras ; WiFi setup and remote capture ; Using filters and tripods ; External monitoring options and cinema rigs and learn about how a Canon Image Stabilizer lens works. I am off on a photo shoot in Alaska. This state is big and wild, the last frontier of the United States - over 663,000 square miles. It is about twice the size of Texas, over three times the size of California and about seven times the size of the United Kingdom. Although Alaska is home to lots of glaciers and snow, the summer months can be pleasantly 'warm', by Alaskan standards, of course. Protected by the Chugach Mountains and the Alaska Range and warmed by Pacific Ocean currents, Anchorage, the largest city in the state, has a temperate maritime climate. Summer temperatures can reach into the high 70s. Low humidity also contributes to Anchorage's comfortable climate. However, temperatures can vary greatly depending on the region one may visit. Every year, Pacific salmon by the millions return to the rivers and streams on the west coast of many parts of North America to spawn. 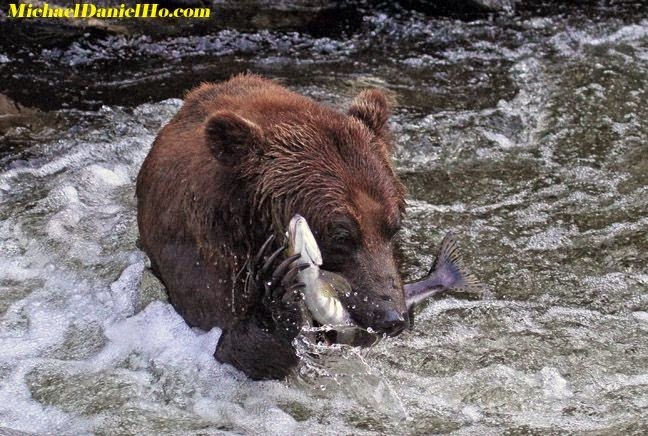 Alaska gets its share of returning salmon along with all the riches a healthy rain forest ecosystem provides. South East Alaska has the largest temperate rain forest in the world. Its waters are rich in salmon, krill (shrimp-like organisms), herring and small baitfish. Humpback whales return to Alaska every summer to feed on this abundance and they can consume about a ton of food per day, per whale. 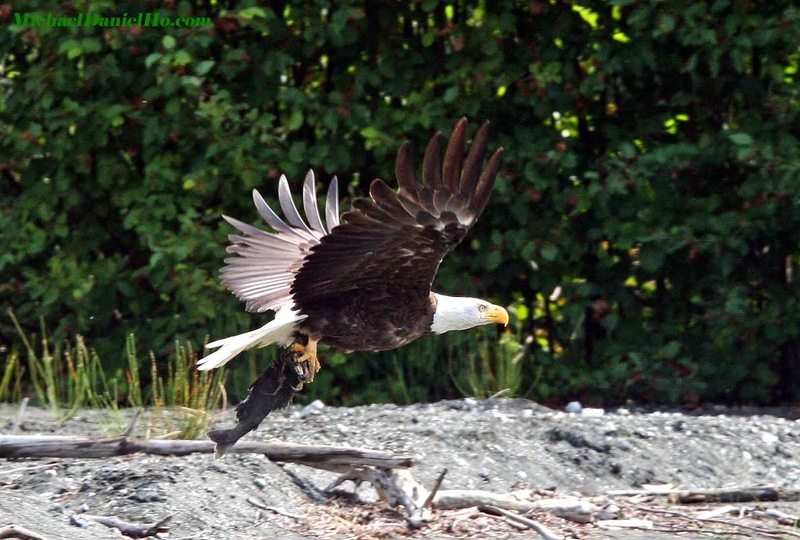 Brown and Black bears, Sea-lions, Bald eagles, Orcas and other predators, all share in this summer harvest. I really need to catch a break and get some spectacular wildlife photos. My last two trips to the high Arctic and India in recent months have produced only mediocre images due to the lack of exciting encounters. Wish me luck on this trip. In the meantime, you can follow my travel on Facebook and Twitter and visit my website MichaelDanielHo.com to see photos from my previous trips. Canon has released more Tutorial Series videos. The above video deals with understanding White Balance and how to set them. You can also view other videos on Prime lens and DSLRs ; Transfer between WiFi enabled cameras ; WiFi setup and remote capture ; Using filters and tripods ; External monitoring options and cinema rigs and learn about how a Canon Image Stabilizer lens works. Canon has released more Tutorial Series videos. The above videos deal with using Prime lens and Full and Cropped frame cameras. You can also view other videos on How to set White Balance ; Transfer between WiFi enabled cameras ; WiFi setup and remote capture ; Using filters and tripods ; External monitoring options and cinema rigs ; How to build a follow focus rig and learn about how a Canon Image Stabilizer lens works. Canon has released more Tutorial Series videos. The above videos deal with External Monitoring Options and Cinema Rigs. You can also view other videos on transfer between WiFi enabled cameras and WiFi setup and remote capture ; Prime lens and cameras ; Using filters and tripods and learn about how a Canon Image Stabilizer lens works. 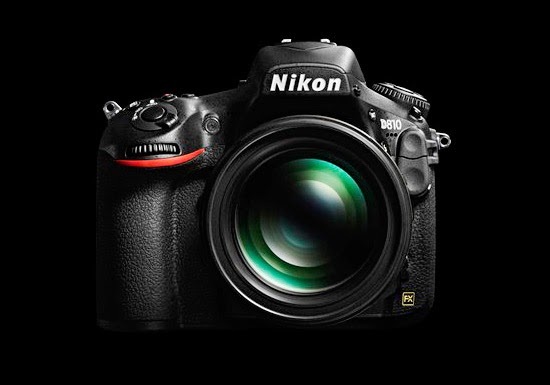 Nikon announced the full frame D810 DSLR camera last month. The User Manual is now available for download in English and Spanish. London, 14 July 2014 – Canon, world-leader in imaging solutions, has risen to 26th place on the latest Interbrand Best Global Green Brands list, up from 30th place in 2013. The Interbrand report highlights Canon’s implementation of sustainable practices in 2012, including reducing CO2 emissions over entire product life cycles by nearly three times the company’s target, and collecting 310,000 tons of used toner cartridges globally since 1990, consequently reducing CO2 emissions by approximately 450,000 tons and avoiding the need for 201,000 tons of new resources. 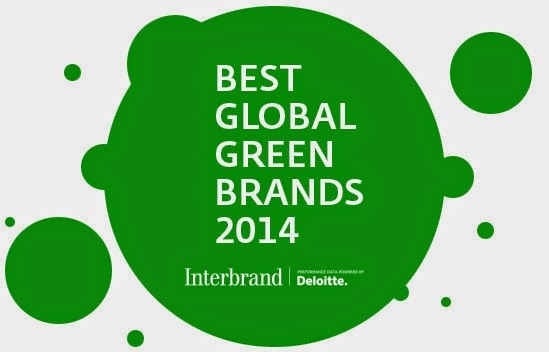 Only companies featured on Interbrand’s annual Best Global Brands list are considered for the Best Global Green Brands report. To become one of the top 50 Best Global Green Brands, organisations must perform well in terms of both sustainability performance and consumers’ perception of it. 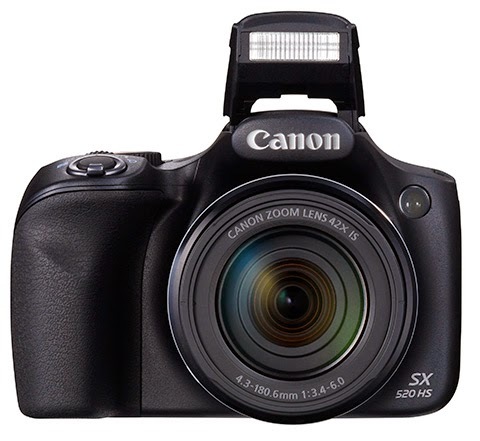 Canon was expected to announce the PowerShot SX60 HS camera with a 100X zoom some time in June. Clearly it did not happen and word is Canon had experience manufacturing problem. This camera will be the replacement to the popular SX50 model and may come with the new DIGIC 6 processor, a 15MP sensor and a 20-2000mm focal length capability. My sources told me the SX60 will be announced before Photokina on September 16. Since Canon already has big plans for the show, with the EOS-7D Mk II camera and EF 100-400mm f/4.5-5.6L IS II lens on their plate, the PowerShot SX60 HS will probably get a different announcement date. I suspect it will be slightly before the two big aforementioned debut. The Japanese photography blog Egami (translated) has discovered another sensor patent filed by Canon. 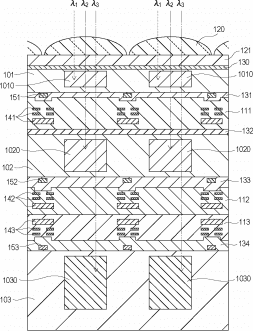 This patent describes a 3 layer, Foveon-like sensor with an insulator film applied. The film helps reduce reflection and flares. In the last few months, similar patents have been unearthed. This new sensor design may be featured in the upcoming Canon EOS-7D Mk II and future cameras. 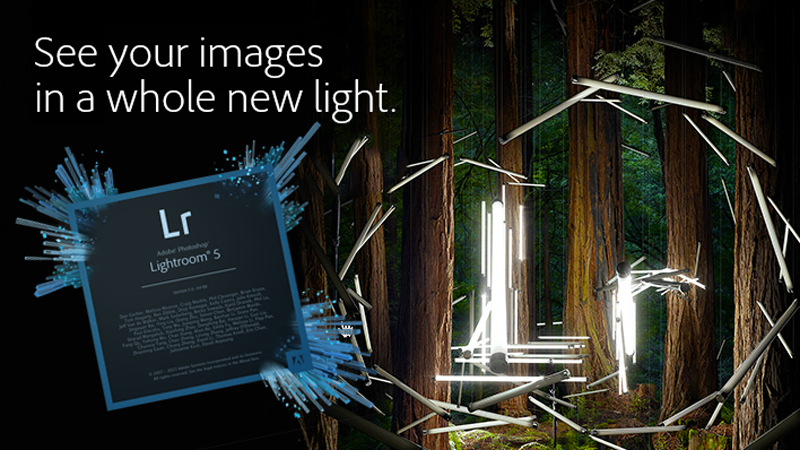 While we have been sitting high on the best-sellers list for Photography books, we have heard from several of you asking how to get our new Lightroom book. Well, there’s two ways to get the book. The book is free until August 1 thanks to Mosaic Archive. 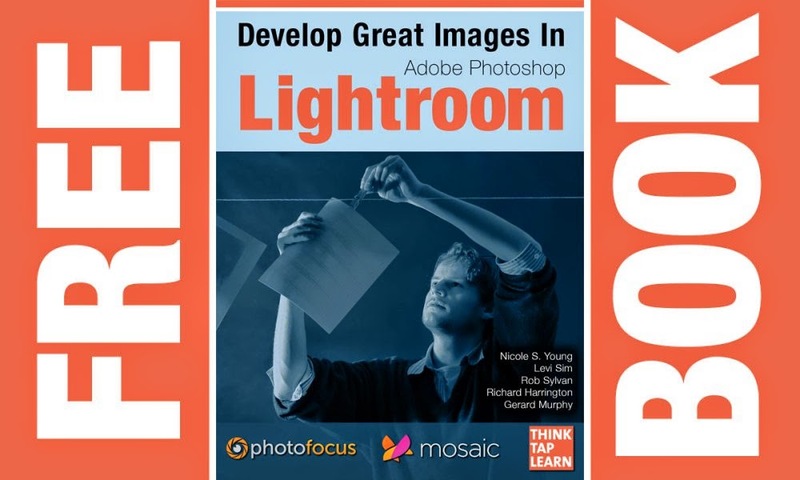 Mosaic commissioned the team at Photofocus to create the best eBook on the planet about Lightroom. We hope you enjoy it. The new book is called “Develop Great Images in Lightroom.” In its 236 pages you’ll find practical advice and expert tips. Learn from Nicole S. Young, Levi Sim, Rob Sylvan, Rich Harrington, and Gerard Murphy. Method 1 : You can get the book here... on iBooks. You will need an iPad or iPad mini to view or a Mac running OS 10.9 or newer. Method 2 : For those of you without an iPad, you can read the book on Scribd or embedded here. This version does not have interactive slideshows, resizable photos, or embedded video. Now that the eagerly awaited EF 200-400mm f/4L IS USM Extender 1.4x lens has been out for over a year, attention has turned to Canon's other venerable lens, the EF 100-400mm f/4.5-5.6L IS. 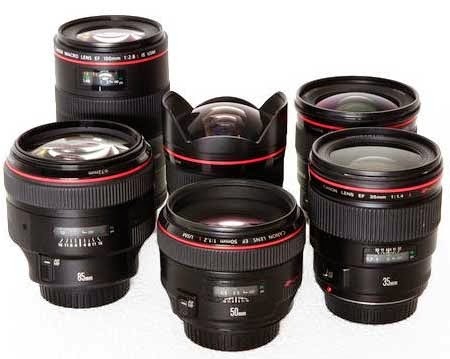 This is my other favorite zoom in Canon's 'L' lens lineup. You can read my review of this lens here. Unfortunately, the lens is showing its age. Released in 1998, it quickly became a staple in my photography bag for wildlife photo shoots. The lens is perfect for mobility and handholding. Although not a fast lens, its versatility and great zoom range more than offset the other shortcomings. The replacement lens has been spotted out in field tests and may be slightly faster (f/4) on the short end (100mm). 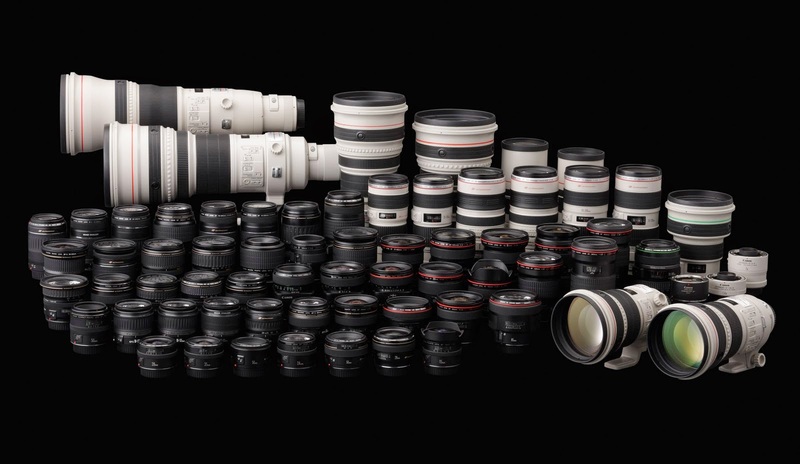 The current lens is one of Canon's best selling zooms and there may be plenty of inventory around the world. Some dealers are selling the lens at quite a discount in order to clear out inventory before the official intorduction of the Series II lens the first week of September. As my readers know, I prefer to travel light and handhold my equipment while on photo shoots. The EF 100-400mm II lens will offer me unmatched mobility and versatility. Cannot wait to get my hands on this replacement lens. Nikon announced their 80-400mm f/4.5-5.6 AF-S zoom lens to great excitement last year. I have been a wildlife photographer for 25 years using Canon gear and can attest to the real benefits of Image Stabilization lens technology, especially the latest generation, with a 4 stop advantage. You can read my FAQs on equipment and see my works on MichaelDanielHo.com. Below is an excerpt from Canon Professional Services, explaining how their IS equipment work. "Camera shake is the thief of sharpness. If you are hand-holding a camera and lens, they will move as you press the shutter release. Movement during exposure blurs the image. Much of the time, you will not notice the effects of camera shake. If you are shooting with a fast shutter speed or a wide-angle lens, the blurring may not be significant? but it will still be there, and might appear if you have a big enlargement made from the image. The only way to overcome camera shake is to eliminate the movement of the camera and lens during the exposure. The obvious way to do this is by taking the camera out of your hands and fixing it to something that will not move, such as a photographic tripod. However a tripod is only effective if it is sturdy, which usually means heavy. Fortunately, Canon offers another method of reducing, if not eliminating, the effects of camera shake. Image stabilization lenses, first seen in 1995, approach the problem laterally. Rather than trying to stop the movement of a hand-held camera, they seek to introduce an opposing movement within the lens. The aim is to keep the image static on the sensor or film, despite the movement of the camera. Image stabilization was available for camcorders long before it was introduced in EF lenses. Both electronic and optical systems were available, but size or weight constraints meant that neither was suitable for EOS cameras. So Canon went back to the drawing board and took a fresh look at the problem. Its solution is a group of elements inside the lens that moves perpendicular to the lens axis. 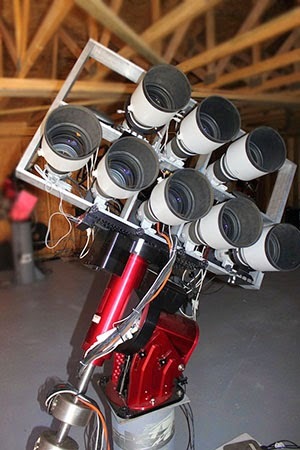 The movement of this special lens group is controlled by an on-board microcomputer and counteracts the shaking of the camera. The special stabilizer lens group, which is locked in a central position when not active, is released. Two gyro sensors start up and detect the speed and angle of any camera movement. The sensor data is passed to a microcomputer in the lens that analyses it and prepares an instruction for the special stabilizer lens group. This instruction is transmitted to the stabilizer lens group that moves at a speed and direction to counteract the camera movement. This complete sequence is repeated continuously so that there is an instant reaction to any change in the amount or direction of the camera shake. When the first EF IS lens was introduced, it was the first time that a high speed 16-bit microcomputer had been incorporated in a lens. The computer simultaneously controls the Image Stabilizer, ultrasonic motor (for focusing the lens) and the electromagnetic diaphragm (for setting the lens aperture). Image stabilization is effective with movement from 0.5Hz to 20Hz (1Hz is one movement cycle per second). This will cope not only with situations from simple camera shake (0.5Hz to 3Hz), but also the engine vibrations encountered when shooting from a moving vehicle or helicopter (10Hz to 20Hz). There is no reduction in the optical performance of the lens. Power for image stabilization lenses comes from the camera battery, so there will be fewer exposures per battery charge when an image stabilization lens is attached to the camera and switched on. Camera shake is detected by two gyro sensors in the lens one for yaw and one for pitch. The sensors detect both the angle and speed of the movement. When the camera is static, the rays of light pass through the lens and form an image on the film or digital sensor. When the camera moves, the rays of light from the subject are bent relative to the optical axis and the image shifts slightly on the film or digital sensor. You can see this effect in the camera viewfinder if you gently shake the camera while viewing a subject. With an IS lens, the gyro sensors detect the camera movement and pass the data to a microcomputer in the lens. This instructs a special group of lens elements to move at right angles to the lens axis. The amount and direction of this movement is just enough to counteract the amount and direction of the camera shake. The result is that the paths of rays of light passing through the lens are adjusted so that the image remains stationary relative to the film or digital sensor. One problem with the first two EF IS lenses produced is that the system regards panning as camera shake, and tries to overcome it. This causes the viewfinder image to jump about, making it difficult to see and frame the subject accurately. On the later lenses, you have the option of two IS modes. Mode 1 is the same as before and is used when you are shooting static subjects. Mode 2 can be set when following a moving subject with the camera (panning). The lens detects the sweeping movement and switches off the IS correction in that direction (horizontal or vertical). IS correction in the direction perpendicular to the panning movement continues as normal to help give a sharper image. When panning the camera to follow a moving subject, use Mode 2, if available. This switches off the Image Stabilizer in the direction of camera movement to avoid confusing the image stabilisation system. Image stabilisation for movement at right-angles to the direction of panning is not affected. IS Mode 3 was announced with the EF-300mm f/2.8L IS II USM and EF-400mm f/2.8L IS II USM lenses, and is also in the EF-500mm f/4L IS II USM and EF-600mm f/4L IS II USM telephoto lenses. IS Mode 3 takes the benefits of standard IS (effective for both horizontal and vertical camera motion) but, instead of it being active all the time, it only activates when you fully press the shutter button to take an image. It is especially useful for sports photography where you are likely to be moving between subjects quickly. In IS Mode 1 this can create a bump or jump within the viewfinder as the IS motor races to keep up with extensive lens movements. Instead, by not activating until the shutter button is fully pressed it saves the system trying to compensate for random, rapid lens motion and only compensates at the point you are taking an image. Introduced with the EF-100mm f/2.8L Macro IS USM lens, Hybrid IS takes the image stabilization concept and applies to it to macro photography. When using longer lenses or for general purpose shooting, any camera shake appears to be rotational - i.e. an up and down or side-to-side movement around a point - that point being the camera. This is effectively corrected by the IS motors contained in the lenses. However, when you move in close for macro photography the camera shake motion appears to be less rotational and more shift based - as if the whole frame is shifting up and down or side-to-side parallel to the subject. This is what Shift IS found in the Hybrid IS system of the EF-100mm f/2.8L Macro IS USM lens aims to correct. How effective is image stabilization? The earliest IS lenses give a gain of about two shutter speed steps. This means, for example, if you shoot with a shutter speed of 1/60th of a second with IS, it will be the equivalent of 1/250th of a second if you shoot without the Image Stabilizer switched on. Or if you can obtain a sharp image without image stabilization at a shutter speed of 1/60th of a second, you will produce results of similar sharpness at 1/15th of a second with image stabilization, other factors staying the same. One of these factors is focal length. Increasing focal length not only magnifies the subject ? it also magnifies the effects of camera shake. A useful guide is that you should use a shutter speed at least equal to the reciprocal of the focal length when holding the camera and lens by hand. So if the focal length of the lens is 200mm, the shutter speed should be at least 1/200th of a second. More recent IS lenses have improved their effectiveness, giving a three-step, or even a four-step gain. A four-step gain means that shooting with a shutter speed of 1/15th of a second with image stabilization gives the same image sharpness as shooting at 1/250th of a second without image stabilization. Recent lenses also have the IS system up and running within 0.5 second of partial pressure on the shutter button, rather than the 1 second delay with earlier lenses. Keep in mind that image stabilization only reduces the effect of camera shake ? it has no effect on subject movement. IS lenses work with all EOS cameras, regardless of when they were introduced. The IS system ? gyros, microcomputer and special lens group ? is part of the lens, not the camera. However, there is some communication with the camera and there are some operational differences between the EOS SLR models. If you are using the EOS 10, 1000-series, 600, 620, 650 or RT, you will see the viewfinder image shake a little immediately after an exposure. This does not affect the sharpness of the exposed image. If you are using the built-in flash of early EOS models (EOS 10, 100, 1000-series, 700, 750), you will see the viewfinder image shake while the flash is recycling. This will not affect the sharpness of an exposed image. There is some shaking of the viewfinder image after exposures in the DEP mode with the EOS-1, 1N, 10, 100, 5, 600, 650 and RT. This does not affect the sharpness of the exposed image. When an extender is attached to the lens, image stabilization does not operate with the EOS 1, 10, 100, 1000-series, 5, 600, 620, 650, 700, 750, 850 and RT cameras. During a bulb (B) exposure, image stabilization does not operate with most EOS models. It continues with the EOS 1000-series, 5, 500 and 700. It stops immediately after the exposure starts with the EOS 1, 10, 100, 600, 620, 650 and RT. In all cases, image stabilization is unlikely to be effective with long exposures. Canon recommends that the Image Stabilizer is switched off for bulb exposures. With the EOS 3, 50, 50E, IX and IX7, image stabilization does not work when the self-timer is used. With the EOS 10, 5, 600 and RT set to AI Servo, and with the film advance mode set to continuous, autofocusing will not resume after the AF Stop button has been used until partial pressure is reapplied to the camera shutter button. This also applies to the EOS 5 and 10 set to Sports mode. We do not have full data for every IS lens/EOS camera combination. Before taking a picture, look through the viewfinder to check that the IS system is operating correctly (remember to allow up to 1 second for the system to start up after the shutter button is partially depressed). If there does not appear to be any increase in the steadiness of the image, or the image is jumping around in the viewfinder, there is probably an incompatibility. Movement of the image in the viewfinder immediately after an exposure is not usually a problem and will not affect the sharpness of the exposed image. IS lenses work well when used with accessories. Add an EF extender and you can increase the effective focal length of the lens by 1.4x or 2x. Increased focal length means that the effects of camera shake are also magnified, so the image stabilization is very useful. EF extenders are compatible with L-series and DO lenses of focal length 135mm and greater, and a small number of wide-aperture telephoto zoom lenses. 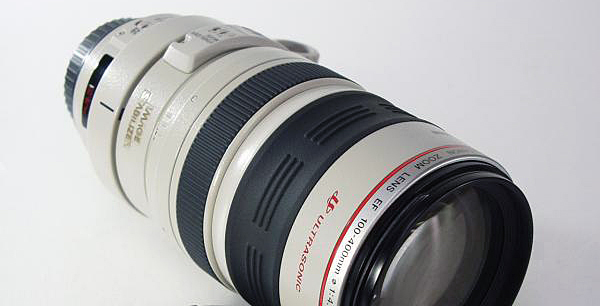 Image stabilization also remains effective when extension tubes or close-up lenses are used. An extender can be used with many IS lenses. Image stabilization remains effective with most recent EOS camera models. Although an IS lens gives more opportunities for hand-held shots, there will still be times when the support of a tripod is needed ? with exposure times of several seconds, for example, or when working with heavy EF-500mm or EF-600mm lenses. With some of the earlier lenses, you need to switch the IS off when using a tripod. The lack of movement confuses the system and the image starts to jump around the viewfinder. However, using a tripod in high wind or with super telephoto lenses, often results in some camera movement, and the IS system can be invaluable. Later IS models are able to sense the use of a tripod and automatically disable the IS, if necessary. You should also leave the Image Stabilizer on when using a monopod, as it is unlikely you will be able to keep this type of support perfectly still." 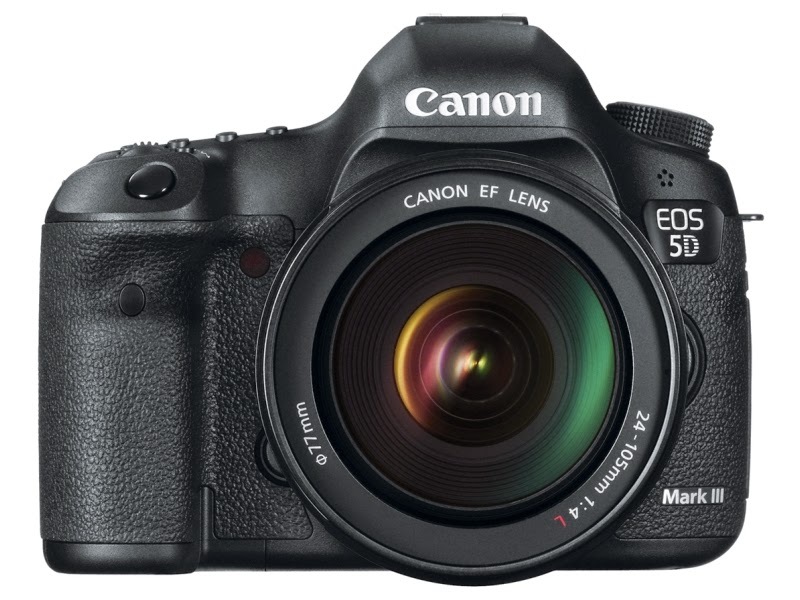 There is a top-rated merchant on eBay selling the Canon EOS-5D Mk III camera for $2,559 including shipping. Hurry, it won't last. This is an excellent choice and my pick as the best value in full frame DSLR camera three years in a row. TOKYO, July 10, 2014 - Asana, Canon Inc., Dropbox, Google, Newegg and SAP today announced the formation of the License on Transfer (LOT) Network, a cooperative patent-licensing agreement that will cut down on patent troll litigation and the growing practice of patent privateering. Patent litigation reached an all-time peak last year, with more than 6,000 lawsuits filed. Most of those suits came from non-practicing entities, also known as patent trolls—companies that don’t have a business outside of licensing and litigating patents. More than 70 percent of the patents used by trolls come from still-operating companies. Indeed, in a growing trend called privateering, companies are selling patents to trolls that then use those patents to attack other companies. In some cases, those companies arrange to get a cut of revenue generated from the trolls’ suits. The LOT agreement is a new kind of royalty-free cross-license meant to address these growing systemic problems. Member companies receive a license when the patents are transferred out of the LOT group. That means that companies retain their right to enforce a patent so long as they retain ownership of it. However, as soon as it is sold, a license to the other members becomes effective, protecting them from attacks by the troll to which the patent was sold. The agreement includes several other provisions that preserve a patent portfolio’s value, including carve-outs for certain M&A transactions and change of control. The initial members of the LOT Network range from early-stage startups to established technology companies. Together they own almost 300,000 patent assets, generate more than $117 billion in revenue and employ more than 310,000 people. “Startups need to overcome many risks before they can become mature, thriving companies. The LOT Network is a powerful and creative new idea that will help ensure that patent abuse need not be one of them,” said Dustin Moskovitz, cofounder of teamwork software provider Asana. The upcoming Photokina Show in Cologne, Germany on September 12 will be an exciting event. 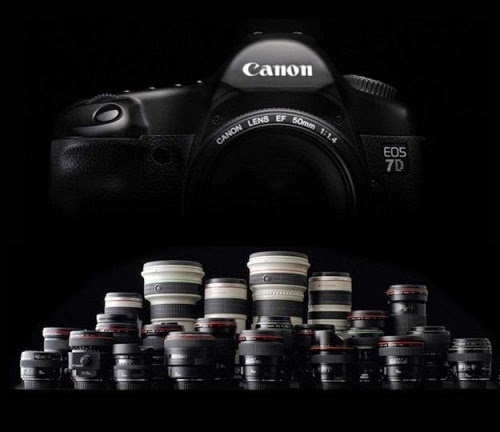 Canon is expected to announce the long awaited EOS-7D Mk II camera and EF 100-400mm f/4.5-5.6L IS II lens. Sigma Corp. has been doing a good job recently challenging Canon, Nikon and Zeiss with quality, high performance lenses at affordable prices. Their 50mm f/1.4 Art lens released in April 2014 performed almost as well as the Zeiss Otus 55mm f/1.4 for a fraction of the price. They might upstage Zeiss again and announce their 85mm f/1.4 Art lens just before Photokina to steal the limelight from the expected Zeiss Otus 85mm f/1.4 lens introduction at the show. In addition, Sigma is rumored to be working on more new lenses. Their 24-105mm f/4 DG OS lens released last year won many good reviews and a 24-70mm f/2 DG Art lens may be in the works. Their current zoom, the 200-500mm f/2.8 APO EX DG lens is the fastest long zoom lens on the market and a 300-600mm lens may be the next to complement their high end lens offering.